On behalf of Admin of JML Law, A Professional Law Corporation posted in Whistleblower on Tuesday, Oct 09 2018. One thing you never expect to experience at work is unethical, criminal activity. Unfortunately, some employers engage in such activity and have no right to subjugate you to such behavior. As with witnessing criminal or lawbreaking activity on any level, you are likely inclined to report your employers to the proper authorities. Doing so is known as whistleblowing, and California has laws in place to protect employees who report their employer’s criminal activity. 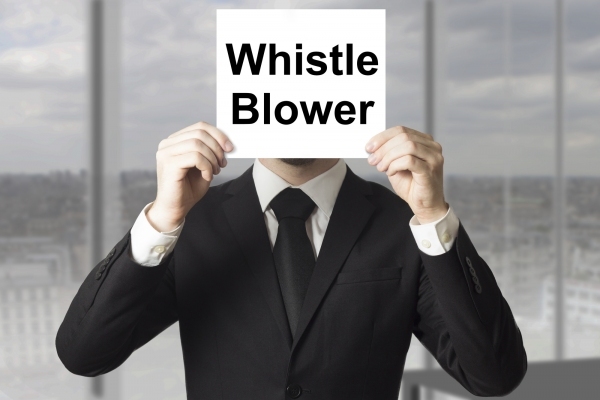 Sadly, many employers still retaliate if their employees are found whistleblowing. This practice of punishing employees who are found whistleblowing is known as “whistleblower retaliation.” In extreme cases, employers can retaliate by terminating whistleblowing employees. However, there are many unlawful ways an employer can retaliate. If you believe you are suffering from your employer’s retaliation stemming from your whistleblowing, you are likely being hurt finically and professionally. You have options to protect yourself from further suffering and retaliation. Knowing how to identify retaliation and how to respond may be vital in ending your suffering. With that being said, you may want to contact a Los Angeles whistleblower attorney for more personalized advice. After reporting your employer for their unlawful practices, you may be fearful of losing your job. While some extreme employers may terminate your position, few are likely to put themselves in a position where they so obviously fired an employee wrongfully. Employers are more likely to retaliate with tactics that are less obvious than firing you, but still detrimental to the success of your career. A common tactic used by unethical employers is demoting whistleblowing employees. Such employers may give you a few unwarranted negative performance reviews before enacting the demotion. However, this is usually a thinly-veiled attempt to hide their retaliation. Another tactic that is commonly used by retaliating employers is refusing to award deserved promotions after an employee is found whistleblowing. Employers may also withhold the necessary resources in an attempt to prevent you from successfully performing your job. Employers could also deny you from participating in developmental programs available to other employees. All of these tactics work to punish you and decrease your chances for success after whistleblowing. If you are experiencing retaliation from an employer after whistleblowing, your professional life is probably filled with hardship. Luckily, you are not powerless from defending yourself. In California, there are laws in place to protect you. If your employers retaliating actions are proven to be in violation of said laws, you may be entitled to compensation from damages. Possible compensation could be obtained for the income you have lost as a result of retaliation. You could also be compensated for the suffering you experienced as a result of the retaliation. With that being said, whistleblower cases can be complex and hard to navigate. For that reason, it is ill-advised to pursue claims alone. You should consider contacting a Los Angles whistleblower attorney to obtain compensation on your behalf. Our JML Law attorneys have the experience to stand up to your employers. For a free consultation, contact us by giving us a call at 818-610-8800.